At DF Barnes, we build (and fix) Great Things! We provide innovative fabrication, industrial construction, rigging and vessel maintenance services to support the growing needs of our clients. Although the challenges are ever changing, our integrity, professionalism and commitment to quality remains the same. When we build great things, our clients win. DF Barnes first opened its doors in 1932 as a manufacturer of marine engines and steel-hulled vessels. 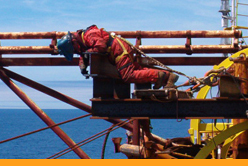 Today, we provide specialized maintenance, fabrication, and construction services to the energy extraction and maritime sectors throughout Atlantic Canada. Click on the video link below to take a brief look at our incredible history. 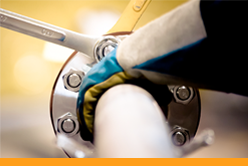 DF Barnes’ number one overriding value is a dedication to providing a safe working environment for all our employees. 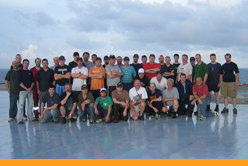 For employees, we offer competitive compensation and benefits packages as well as a fun, stimulating work environment. Our Quality Management System is focused on the concept of “Once Right" This philosophy reduces rework and saves both time and money for our customers.